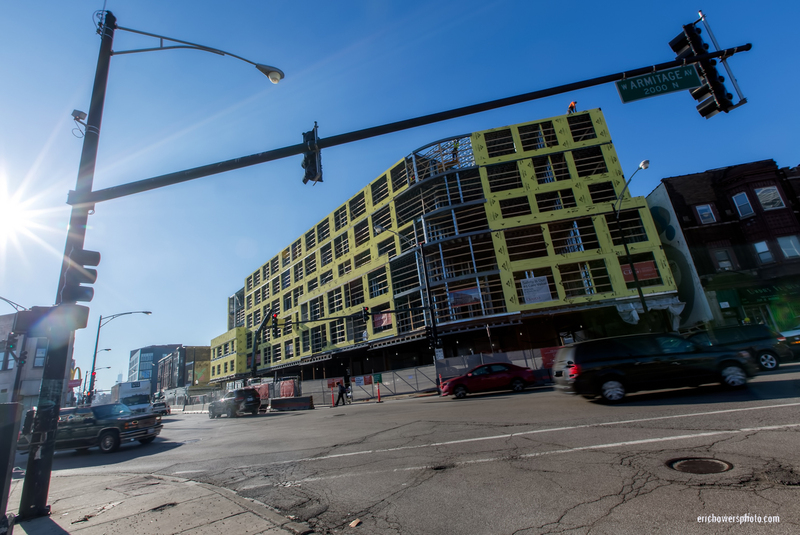 Chicago Intersection Wraparound Residential Construction at Milwaukee and Armitage; I see similar intersection-fronting multi-family residential projects in other construction jobs in both Kansas City and Chicago. I didn’t manage to confirm if the Chicago versions feature the internal concrete parking garages or not. Our big question about these designs will be how to repurpose the parking portions once the systemic demand for “a parking space for every man, woman, and child” is expected to subside over the next several years.